This corner module is different from the others, because it carries not only the main line tracks around the corner, but several sidings as well. This allows us to display all the steel mill modules in venues where our layout size is restricted (end-to-end the steel mill is nearly 30 feet long.) It also allows us to add a couple of additional mill buildings, and create a visual break, which enhances the overall effect. 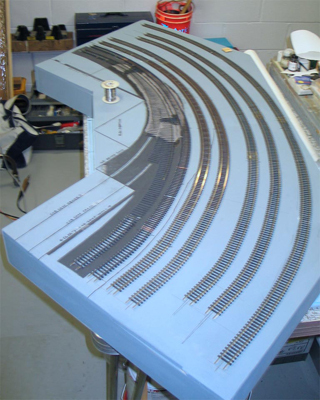 Although a working module, with powered main line tracks and sidings, it is not completed. Scenery is still in progress, and the track at the back still needs to be finished. If you are new to module building, start with a simple module like a 2� x 4� (with or without a simple one-track siding.) Then, once you are sure you know what you are doing, design and build more complex modules. Talk to other modelers also. Learning from your mistakes shows wisdom, but learning from others� mistakes costs much less! 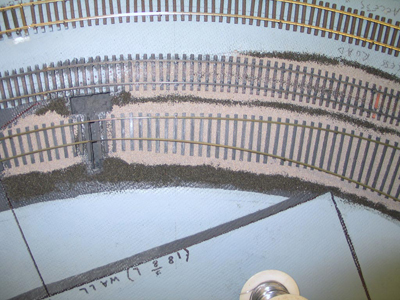 Overall view of module top, showing tracks. 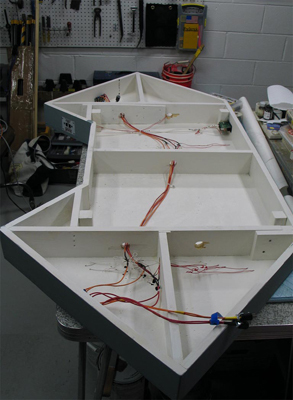 Overall view of module bottom, showing wiring and framing. 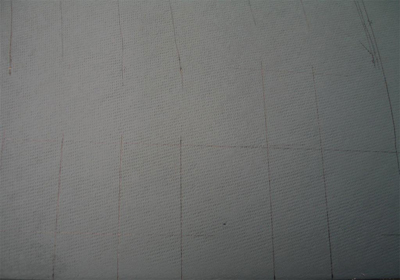 The plan is transferred from the plan drawn on paper to the homosote top layer of the module. Homosote is used because it holds the spikes and track nails well, can be easily cut, and holds its shape well when sealed with paint or glue. 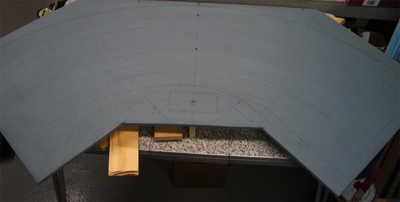 Most modules have Homosote only where the tracks run, to reduce weight, with the rest of the module surface made of extruded styrofoam insulation board. Make sure to seal the top, bottom, and edges of the Homasote with either latex paint or white glue, to prevent changes in humidity from causing problems with your roadbed and track. Track spacing at the module ends must match the track spacing of the next module. Standard track centers for the main line tracks are 5 inches and 7 inches from the front edge of the module. 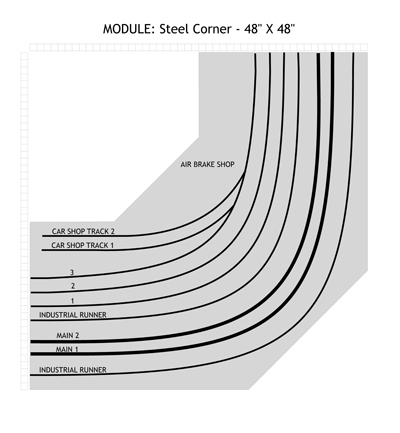 In addition, this module has sidings spaced at 2, 10, 12, 14, and 16 inches from the front edge. One of the handlaid switches under construction on this module. Two switches were needed that were not commercially available, so they were built from scratch. 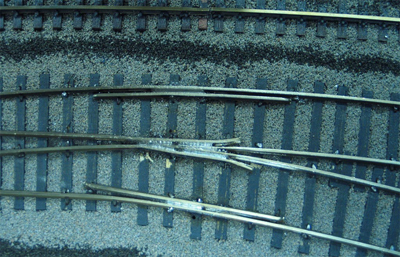 Close up of one of the switch frogs, with its associated guard rails. The guard rails ensure that the car wheels running through the frog follow the desired route.